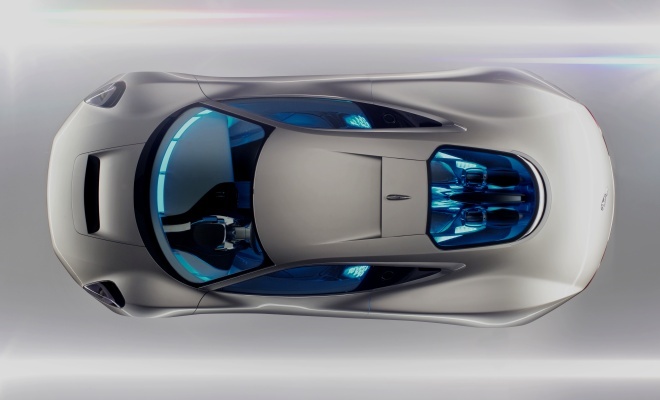 It will be fascinating to see how Jaguar’s C-X75 supercar progresses from show-car fantasy to roadgoing reality, now that the firm has said it will build the thing in collaboration with the Williams F1 team. Jaguar has said relatively little about the road car, but some things we know. It will still be a carbon-fibre-bodied, plug-in range-extended electric vehicle (Jaguar uses the acronym REEV), with an on-board fossil-fuel generator to keep the electricity flowing beyond the battery’s 30-mile range. Sadly, the production car won’t employ a pair of tiny 3kg, 95bhp microturbines to generate juice – the core technology still faces too many hurdles for a real-world application. Instead, we will see a “small” internal combustion engine with a very high power output. Hence the connection with Williams, which has precision carbon fibre expertise and F1 know-how. F1 teams will already be grappling with the issue of engines for 2013, in which year the regulations stipulate a 1.6-litre turbocharged four-cylinder engine, with outputs likely to be in the 750bhp region. I doubt the C-X75 will employ an engine with such extreme vital statistics. No doubt F1 technology will be applied to a larger displacement engine, achieving a suitably beefy power output with less severe internal stresses. Also deleted are the concept’s individual wheel motors, replaced with one electric motor per axle. So the production car will still be four-wheel-drive, but will likely vector torque in corners by the judicious application of its carbon-ceramic brakes, rather than throttling each wheel independently. 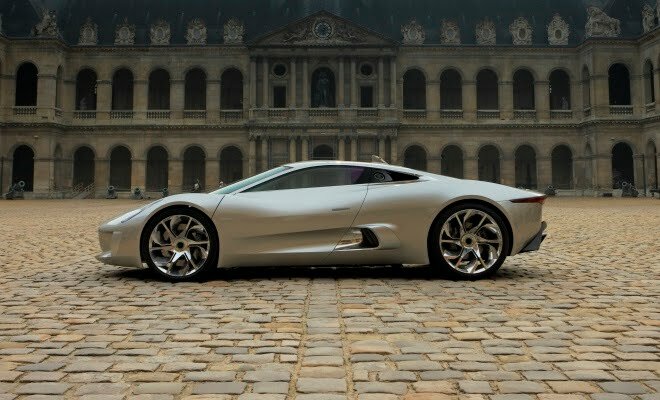 Jaguar officials say the road car will exceed 200mph and yet will still achieve a combined cycle figure of 99g/km. These numbers might seem like an impossible pairing, but part of the trick is that the car may be able to hit speeds beyond 200mph, but probably won’t be able to stay at such lofty velocities for long. As was the case with Jaguar’s first REEV experiment, the Limo Green project, the C-X75’s motors will presumably be capable of draining the car’s battery pack much more quickly than the generator can top it up again. In Limo Green’s case, that meant a top speed of 112mph could be kept up for only three minutes at most. For longer durations, maximum speed fell back to 80mph, which was the point at which the power needed to propel the car balanced out against the generator’s maximum supply. While the C-X75 may seem like a wasteful exercise, producing a stupidly fast car that nobody really needs, there is another way to look at the project. By building a car of this type, Jaguar can justify a £700,000 price tag. By building 250 of the things, it can bring in £175m of revenue to help it develop new core technology. Think of it as a part-customer-funded rolling R&D project for future hybrid Land Rovers and Jaguars, and the project seems much more responsible. Indeed, the upcoming F1 regulations were aimed at achieving much the same goals – to develop engines that would be relevant to improved real-world road cars. Just because a 1.6-litre four sounds familiar, it would be fanciful to expect the lessons learned in F1 development to jump straight down to family hatchbacks. A stepping stone like the C-X75 makes perfect sense. I’ll be watching with plenty of interest and an eye to the next, more humble project.